I’ve been writing this blog for about a year now and while I enjoy writing it and hope that other RS fans enjoy it, I don’t really share it very much with people in my everyday life because, well, maybe because I realize it can sound a little obsessive at times and with all my other obligations, I’m not too sure they would understand why I devote so much time to it. So a few people I know are aware of my RS crush but besides maybe talking about it too much with those truly near and dear to me, it doesn’t come up very often. But lately something’s changed. 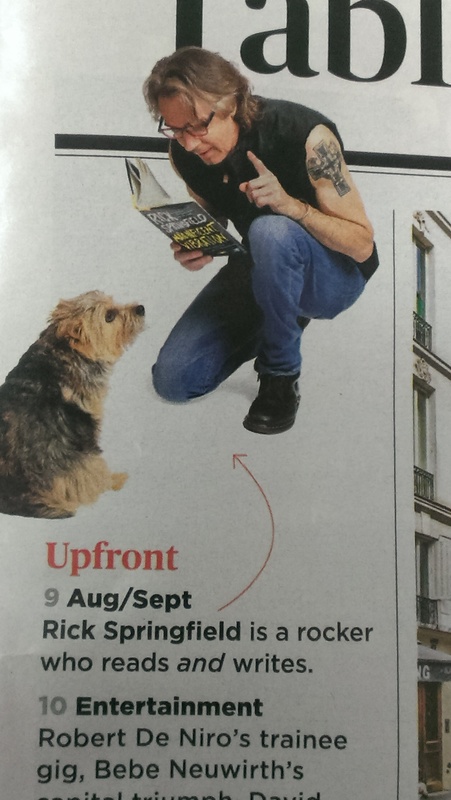 One of my co-workers brought me her AARP magazine because she saw Rick Springfield in it. My sister admitted that when she recently flew into town for a visit, she found herself looking around for RS at the airport because she thought maybe if she saw him, she would invite him to dinner to surprise me. Two funny notes about this picture, taken in a Phoenix restaurant: 1. In high school, a girl in my guitar class traded me any Rick Springfield posters in her magazines for the Alex Van Halen pictures in mine and 2. 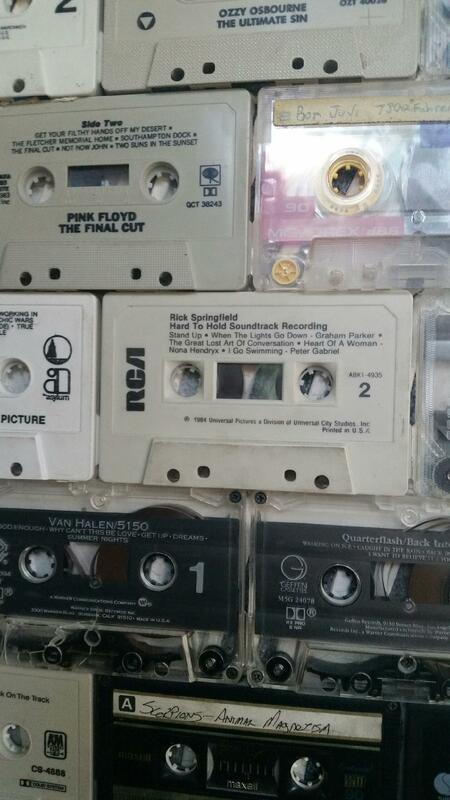 Quarterflash was the opening act for my first RS concert (see the two cassette tapes right under the RS tape). Kinda funny. A few weeks ago I convinced someone who loves music and dogs and suffers from depression to read “Late, Late at Night.” He not only loved it, but it transformed him into a big RS fan who has since spent hours listening to his music/watching live performance videos and is now waiting for him to come to town so he can see him in concert. And lastly, my dad and his girlfriend went to see “Ricki and the Flash” last weekend and they both enjoyed it. I guess appreciation for RS’s work is contagious when people are exposed to his talent.